When in Dagupan, eat as the Dagupeños do. But really, what else do you eat in Dagupan besides the obvious bangus dishes that the city is known for? Well, how about Pigar-Pigar? Okay. Pigar what? Cruising along Galvan Street near the market at night, one cannot deny how popular this dish is with the locals of Dagupan City. The sidewalks are filled with makeshift tables and benches; and with each patron, a dish of Pigar-Pigar on hand. But what exactly is this Pigar-Pigar? 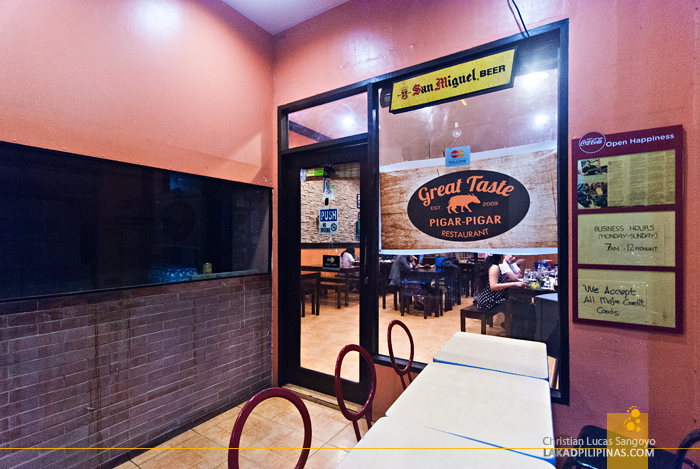 We went to the nearby Great Taste Pigar-Pigar Restaurant to find out. 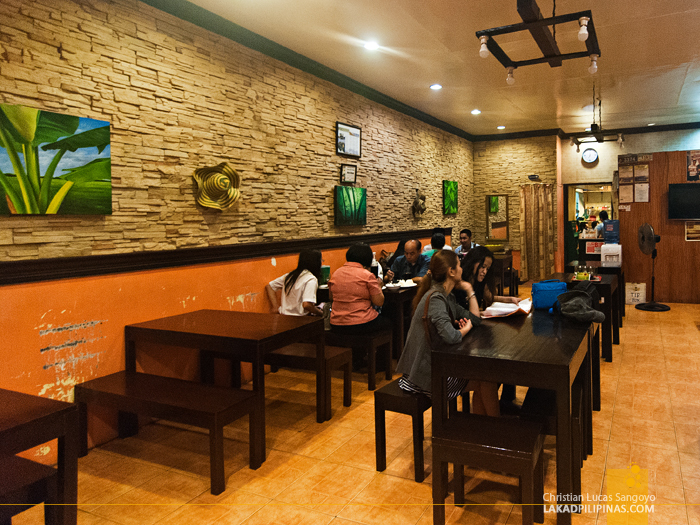 Voted by GMA News Online as one of the top ten yummiest restaurants in Pangasinan, Great Taste Pigar-Pigar Restaurant has been serving the popular Dagupan street food since 2009. They started out as a small carinderia, like most of the Pigar places in the city, and have now grown to a full-fledged restaurant. Being six in the group, we decided to order three ala carte dishes for our dinner—Sizzling Pork Sisig (Php120.00), Kaleskes and of course, Pigar-Pigar (Php120.00). We simply added a cup of rice each to save a few pesos. Our food came fast enough. 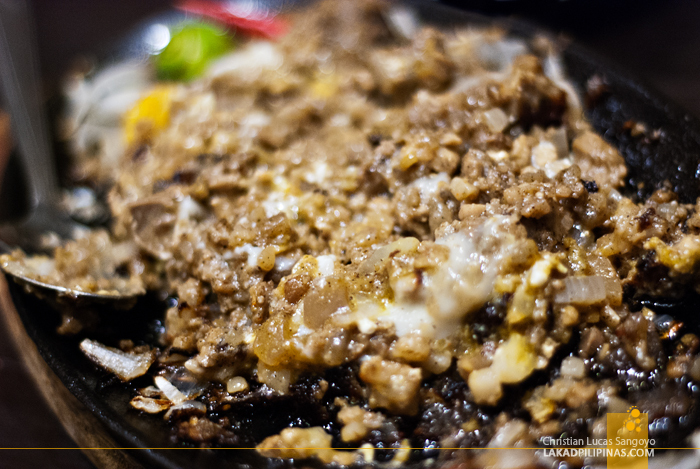 Soon after bottles of beers were laid on our table, the sisig arrived. I like their version of this dish; creamy, crunchy and not that fat-ridden. It was just too bad, that everything was mixed already before we could take a decent photo, so please pardon the messed-up look of the sisig, haha. Up next is the Kaleskes. This is also a popular street fare in Dagupan. For Tagalogs, one would think of fish scales when one mentions kaleskes, but no, the dish is instead made from intestines. Together with blood pudding, pancreas and sebo; they say that it’s a good soup to wash away a heavy hang-over with. But like most exotic dishes of this kind, it takes a bit of guts (pun intended) to swallow a spoonful of this Dagupeño delicacy. And last but not the least, Dagupan’s famous Pigar-Pigar. 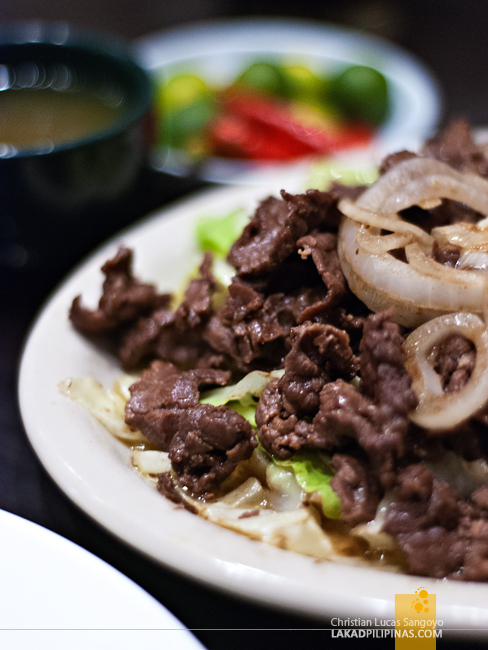 Made from deep-fried carabeef, mixed with cabbages and white onions, and seasoned with salt and pepper; the name Pigar Pigar actually originates from the local term, to turn over. As in to turn the meat strips over and over again while being deep-fried. Quite simple eh? The dish maybe simple, but it packs a flavorful punch. It tastes a bit like Bistek Tagalog, but with less sauce and more bite. The veggies also add flairs of crunchiness that’s missing from the former. I love Great Taste’s Pigar-Pigar. Even with nothing to compare it to, I like how tasty and tender the meat is. 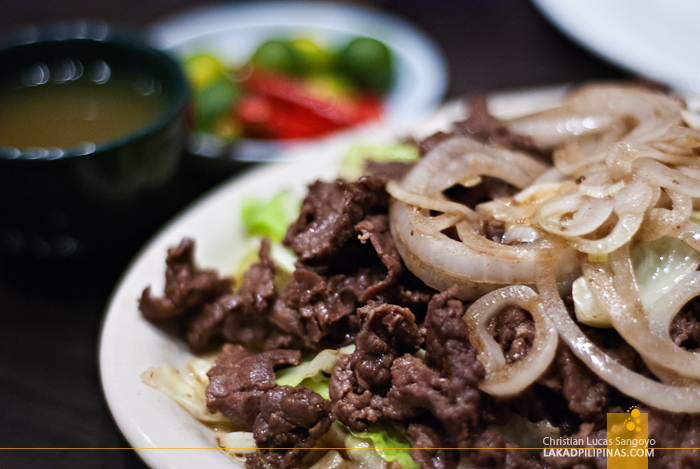 And I also dig the fact that even though it’s made from carabeef, there’s absolutely no maanggo taste that’s usually associated with such. So what to do when in Dagupan City? Eat Pigar-Pigar as the Dagupeños do. Let’s dig! 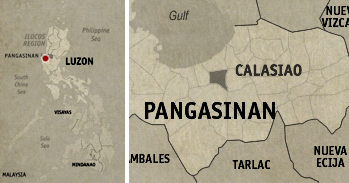 The map shows the municipality of Calasiao. 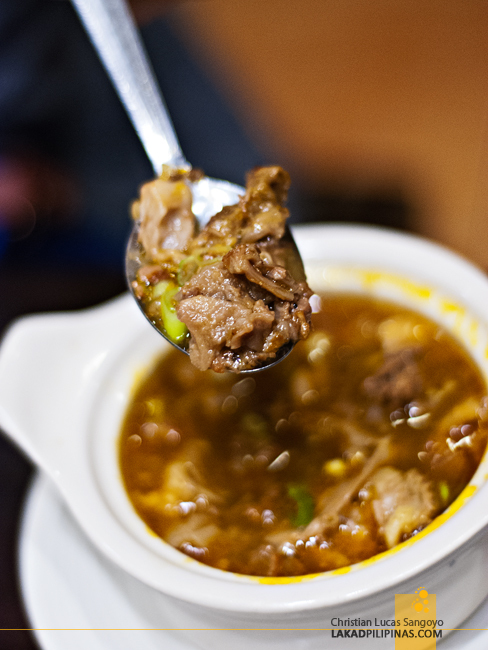 You know what, the best " kinigtot " ( a goat meat dish ) is found in Calasiao?